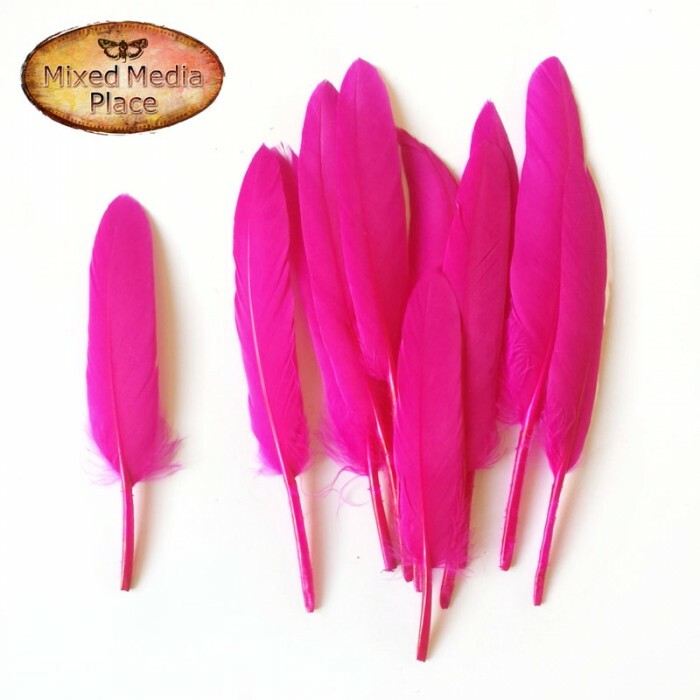 Set of beautiful, colorful feathers, great for any project. 10 pieces in a paper bag. Size: 12-14 cm. Color: fuchsia.